Hockey Canada CEO Tom Renney has signed a letter asking the Kontinental Hockey League to allow its players to participate in the upcoming Winter Olympics, the organization confirmed to CBC Sports. The International Olympic Committee (IOC) is painstakingly grinding towards a decision on what to do with Russia as the Games in Pyeongchang approach. Tuesday is supposed to be the day when the stewards of the Olympics draw a line in the sand when it comes to an alleged, state-sponsored, conspiracy of cheating by an entire nation. Will there be a blanket ban on the Russian Federation or will the IOC throw the ball into the court of the various sports governing bodies to deal with the offenders as they see fit? That's the path they took in advance of the Rio Olympics. In other words, will the IOC deal with this head on or will they delegate the ultimate call to others? The International Paralympic Committee (IPC) will also be faced with a similar decision in light of the doping scandal which clouded the results of the Sochi Games in 2014. At those Games, Russian athletes won a total of 80 medals, 30 of them gold and they accounted for much more than a third of all medals won on home ice and snow. The next country in the medal standings was Ukraine with 25 while Canada managed 16 medals, including seven top-podium finishes. In direct contrast to the IOC, the IPC banned all Russian athletes from all competition at the Rio 2016 Paralympics in light of the revelations made public by the World Anti-Doping Agency's (WADA) independent commission, and articulated by law professor Richard McLaren of Canada. 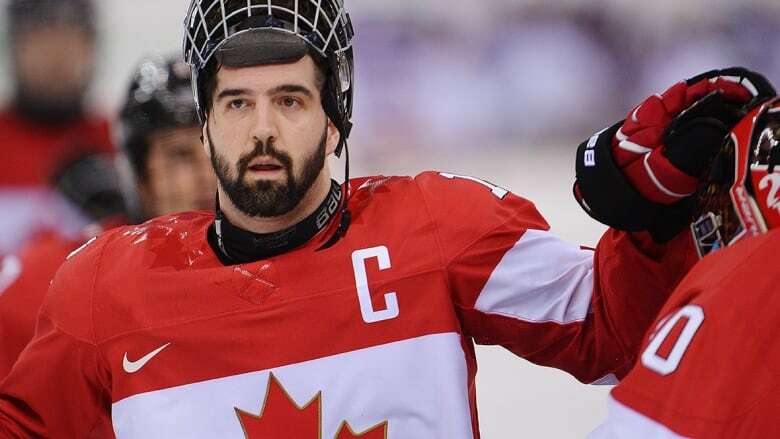 "I think it's kind of cool that the IPC went its own way on this," said Greg Westlake, the captain of Canada's para hockey (formerly sledge hockey) team that won bronze in Sochi. Westlake will compete again in Pyeongchang and with the Paralympic Winter Games now less than 100 days away, is urging that the IPC stand its ground and ban Russia again. "We are not the IOC's younger brother and with regard to Rio our leaders stood up and made their own decision," Westlake said. "Have the guts to say what you believe and do it. If you cheat in the Winter Games then you should be punished in the Winter Games not the Summer Games. Come Pyeongchang, those athletes should not be allowed to compete." This is a familiar refrain in the Canadian camp and as the Paralympics continue to attract more attention internationally, the voices of these athletes are seemingly in unison on how best to deal with the reality of Russian problem. "I was on the conference call prior to the Rio ban and it was not an easy decision but in the end we had to do it," said Todd Nicholson the Chef de Mission for the Canadian Paralympic Team. Nicholson is formerly the chair of the IPC Athlete's Commission and a Paralympic champion in para hockey at the 2006 Games in Torino. "All other nations are playing by the rules but they are not," Nicholson continued. "One of the rules is to have a robust anti-doping system and they do not. Until the Russian Paralympic Committee can comply, unfortunately their athletes should not be able to compete." The Paralympians who gathered to mark the approach of the Games in South Korea were almost defiantly, single-minded in their consideration of the impending sanctions Russia could be faced with. Instead of speaking about half measures, they favoured following a clear path based on conviction and a belief that the integrity of all sport is what's inevitably at stake. "A lot of problems go away if you get the Games out of Russia," Westlake said. "The broader issue or the macro issue is not just about banning this group of athletes. It's about whether Russia should ever be allowed to host any Games in the future." Meantime, Nicholson was unequivocal about the course he believes both the IOC and IPC should take. "It's a very sad situation for all competitors," he shrugged. "As an athlete you want to think if you win you have beaten the best and therefore you become the best. That is not the case right now. It's got to be an even playing field and that is the bottom line. We have to, at all costs, safeguard the concept of fair play." It's a given that all Paralympians have, for whatever reason, been forced to take the road less travelled in their pursuit of high-performance sport. They are also unanimous in their desire to take the high road when dealing with the Russian doping scandal.